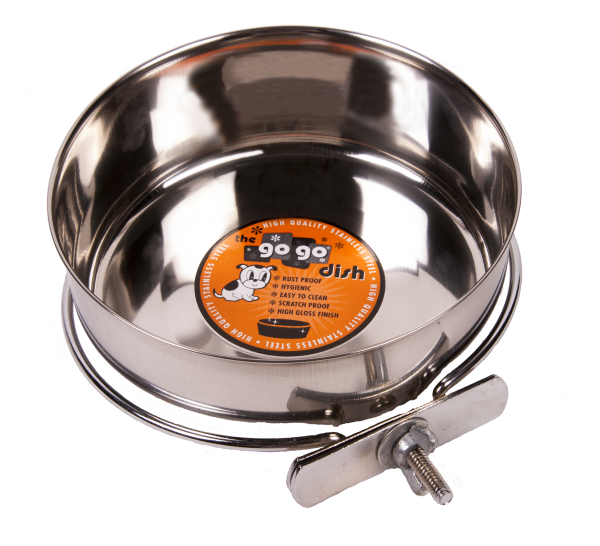 Dog Crate Water Bowls by GoGo® are sturdy, long lasting and reliable. Made from heavy duty stainless steel, these crate cups are also rust resistant, making them an excellent option for food or water and can be easily attached to most standard dog crates, cages, and kennels. 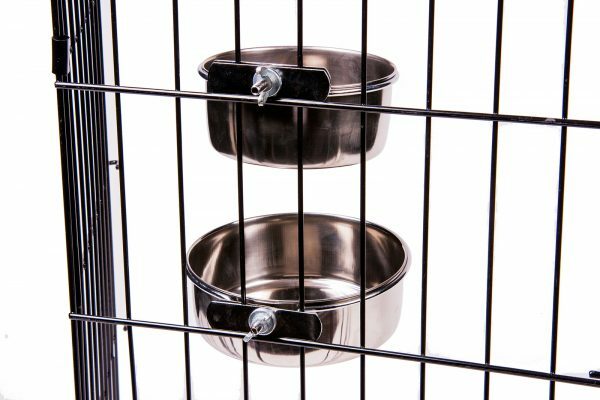 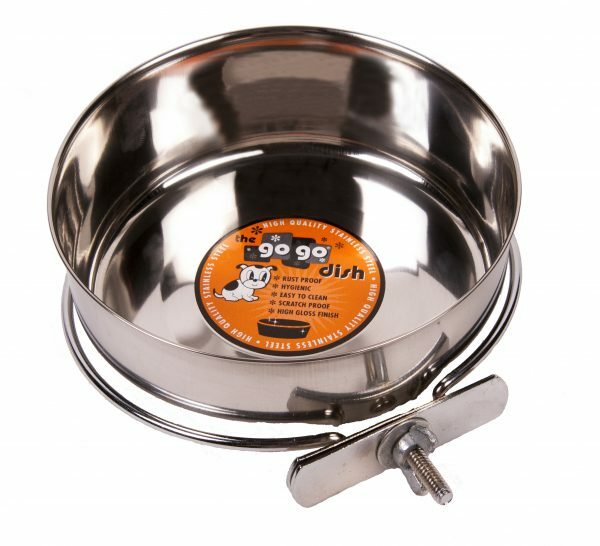 These Stainless Steel Dog Crate Bowls includes a heavy duty bolt-lock clamp which allows your dog’s bowl to easy and quickly secure on most metal dog crates. 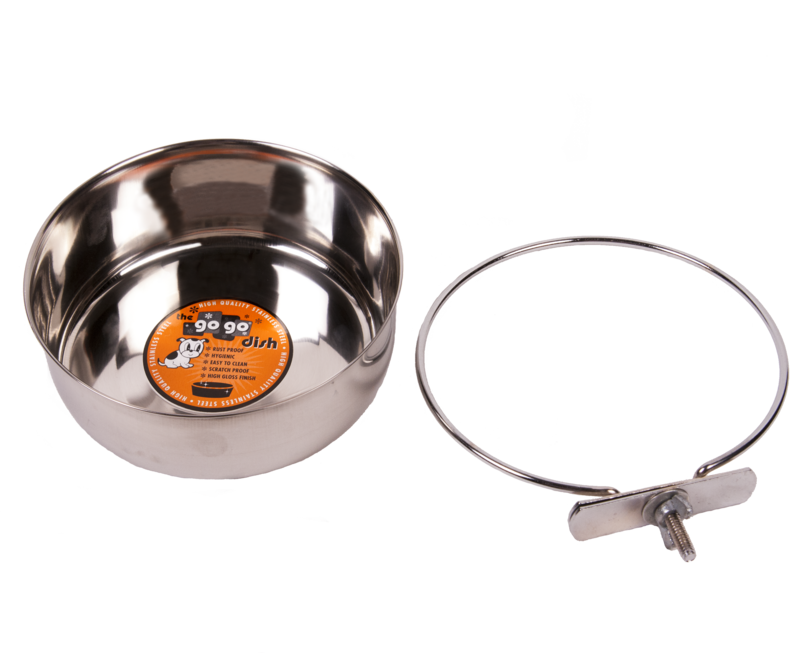 No worries about the clamp breaking, it’s as solid and durable as they come. 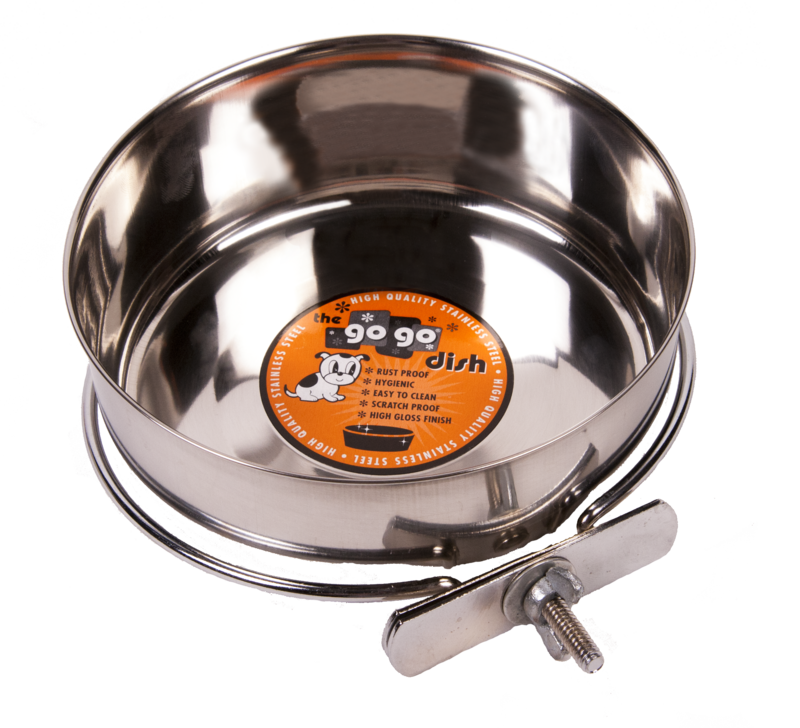 GoGo® Dog Crate Bowls are made solid and build to last, constructed from premium stainless steel. 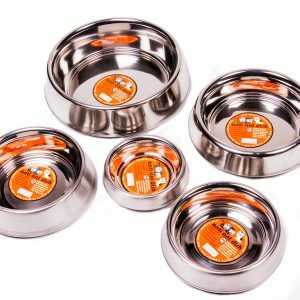 Plastic, wood, ceramic and other pet bowls have a porous surface which can harbor bacteria even after being washed and may even contain chemical based dyes. Stainless Steel has a flat, easy to clean, hygienic surface which is why many veterinarians recommend them. 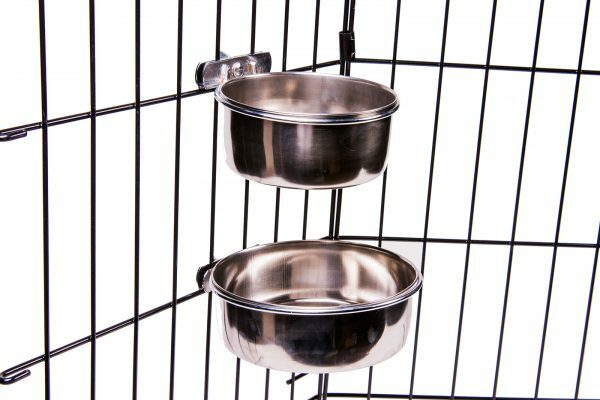 These Stainless Steel Dog Crate Bowls are easy to clean, scratch resistant, durable, and rust resistant. 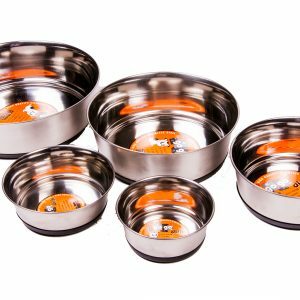 Best of all the Bowl and Clamp are completely dishwasher safe. 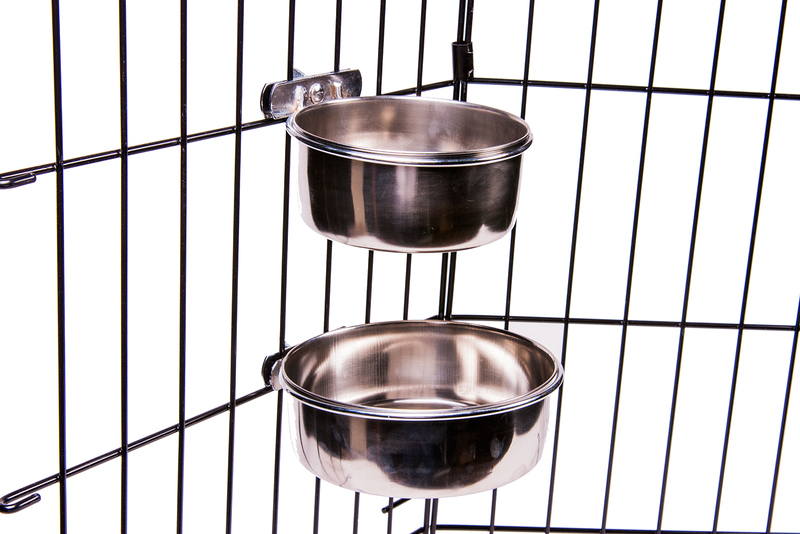 These crate bowls fit perfectly with the GoGo® Metal Dog Crates.